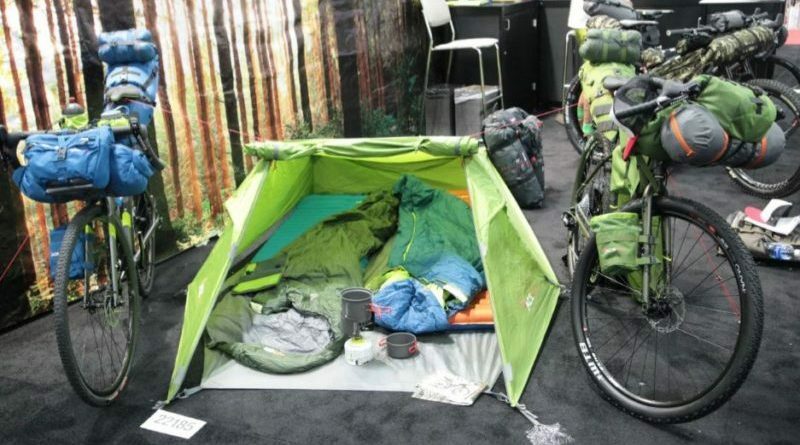 Among those European brands looking to drum up interest in Interbike’s dedicated EU area, Acepac was one of the more eye-catching displays. 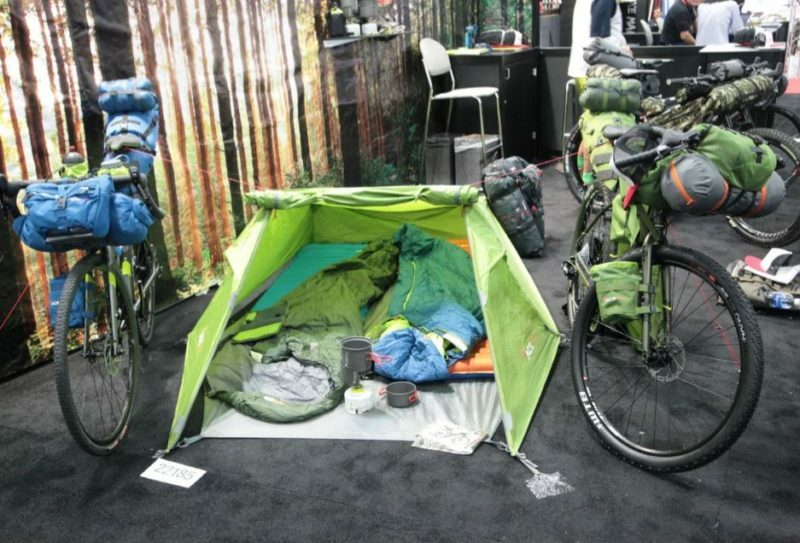 On the lookout for distributors in the U.S. and UK, the firm has a deep line of bikepacking and touring gear in various sizes and iterations that looks to be a strong option for getting lost in the wilderness in comfort. 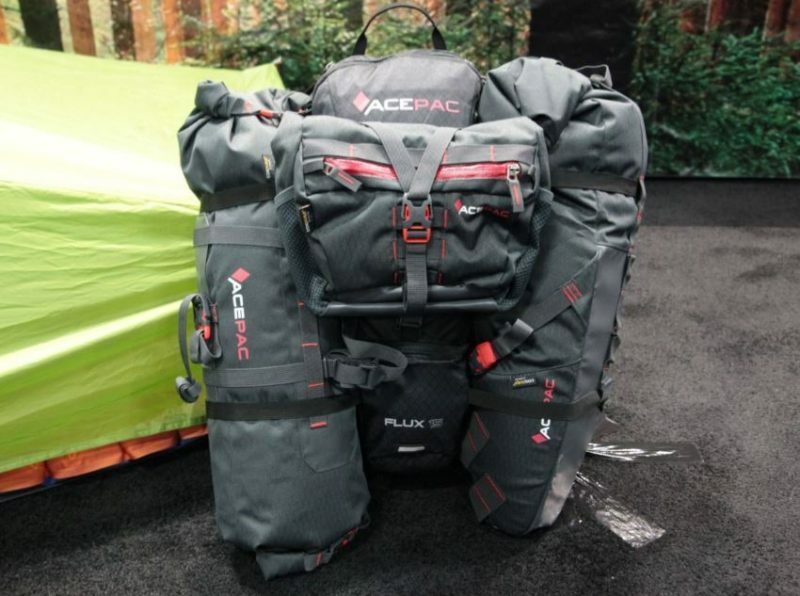 The often modular product line offers three backpack sizes at 15, 20 and 30-litre, each of which features back protection and reflective detailing. Across the range, the firm has for MY18 added more mesh pockets and advanced its pack down systems to enable each to roll tighter. Tipping the scales at 610 grams, including two rings, Praxis’ new Zayante carbon crankset is supremely competitive on weight. With two chainrings of the customer’s choice included and compatibility with six of the most common bottom bracket types, the firm has opted to go with a direct mount spider with either 160 of 104 BCD. 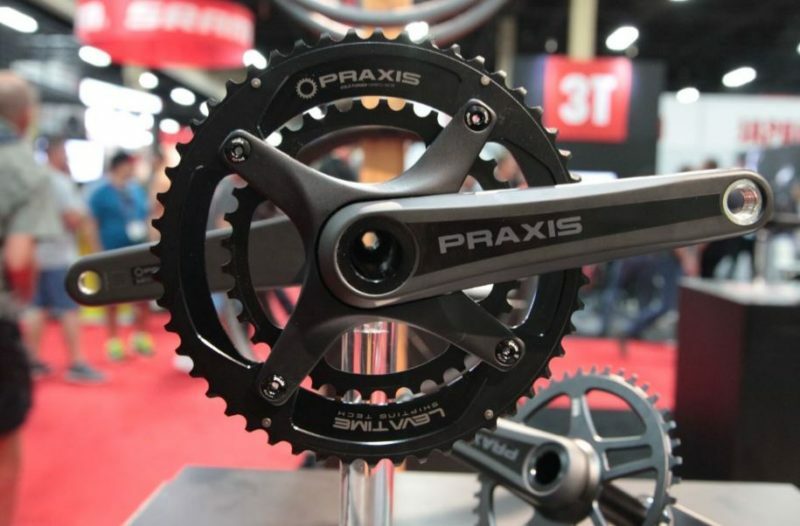 Expect the crankset to be with distributors later this winter and to retail for around $325. 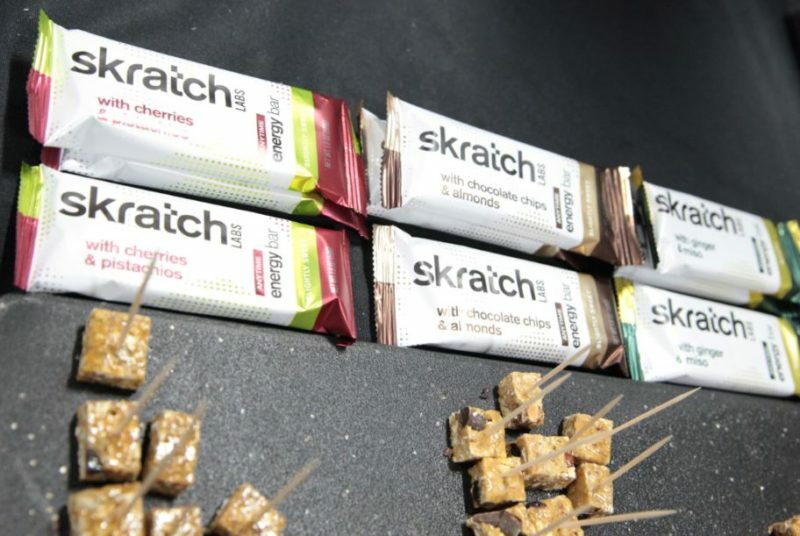 Claiming to have half the fat of anything else available on the market, Skratch has announced three new bar flavours; Cherry and Pistachio; Chocolate Almond and Ginger and Miso. Due in stock with distributors later this month (in the UK by Spring), the bars come in addition to two new hydration mixes. Dealers will have access to the new bars in boxes of 12. Individual bars will be priced at $2.65. Catching our eye with a demo, allowing passers by to drive a large nail into a tyre, The Flat Stopper was quickly able to demonstrate that its product works. 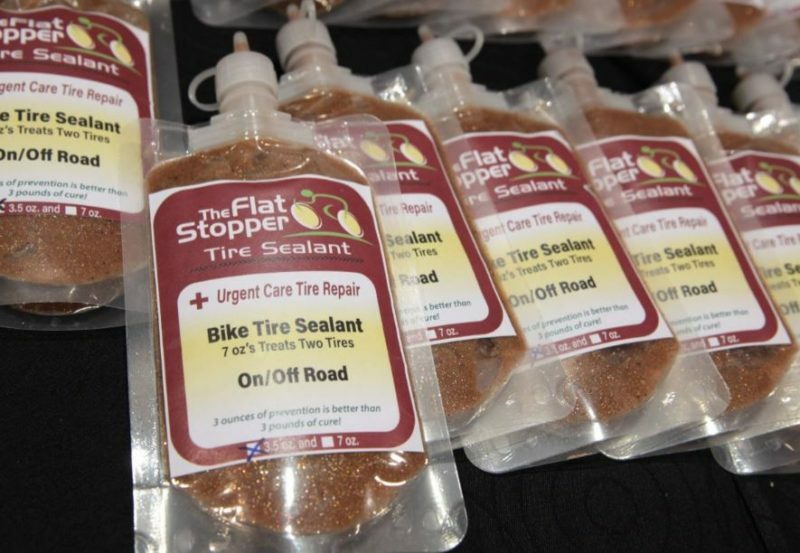 Designed with heavy applications, including agriculture use, in mind, The Flat Stopper is tight lipped on its formula, but says that it’s eco-friendly and can seal up to a 6mm hole with ease. Sold in various sizes of pack, the firm has an airport friendly 3.5 ounce sachet for those on the move. One of these will seal a plus size MTB tyre, or two road tyres. The firm is seeking distributors and can be contacted here. 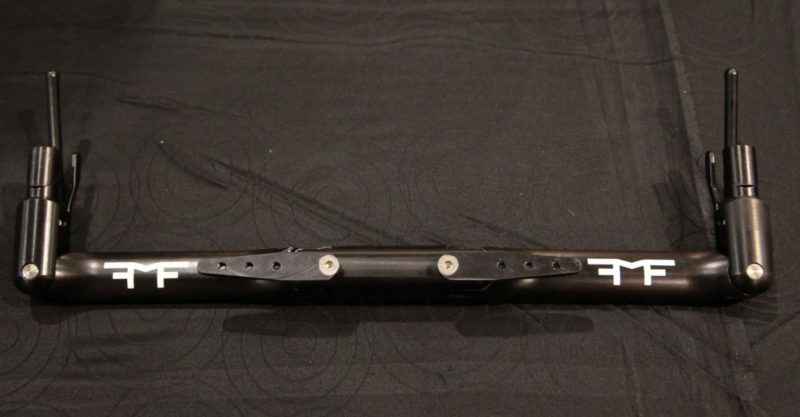 We spotted this one from TMF while touring a pre-show preview of products expected to make waves in the coming year. A simple, yet effective design, the aluminium bar utilises a quick release lever to enable the rider to shift from a wide position into a wind-cheating narrow formation. 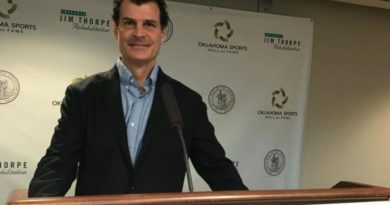 During the firm’s pre-sale period, around 60% of interest has stemmed from customers outside of the U.S., we were told. Currently in testing to gain UCI and ITU approval, the Houston, Texas-made bar will come in at a competitive price against the likes of Zipp’s Stealth, we were told. 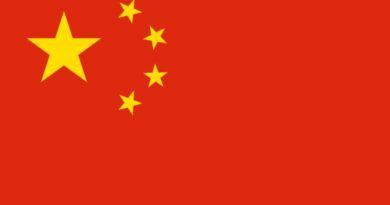 18 January, 2017 Mark Sutton Comments Off on Townley: Is the president-elect serious about a trade war with China?